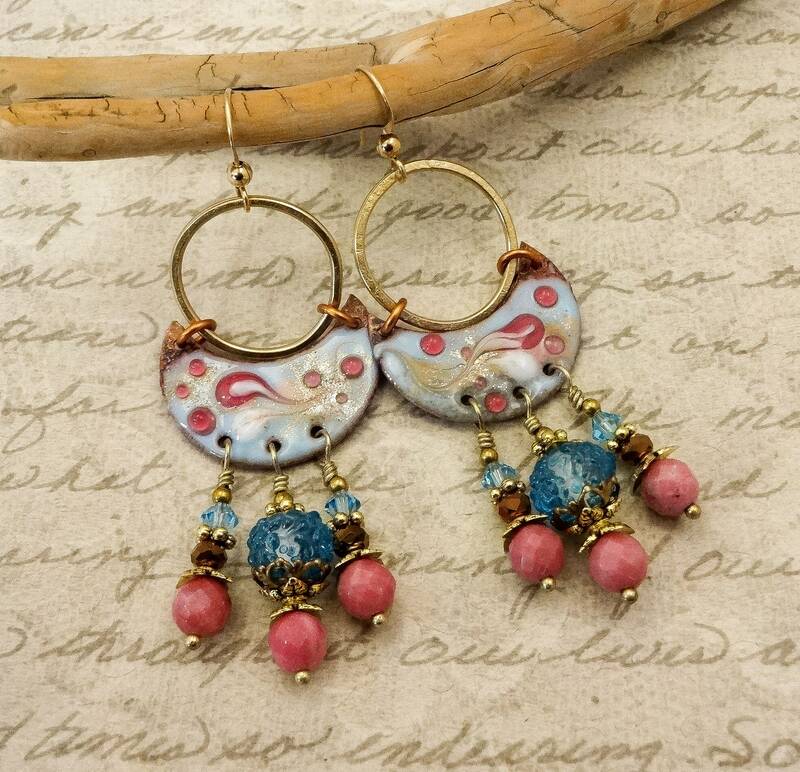 The enamel charms in Light Blue, Pinky Rose and Gold were made by a French artisan with exquisite detailing. 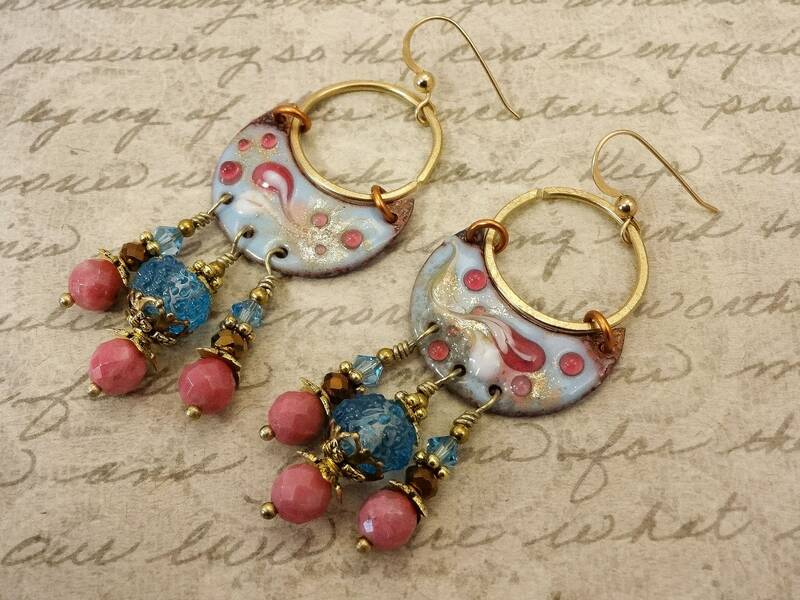 I paired them with aqua blue lampworked beads, aqua Swarovski bicones, small bronze Czech Firepolish rondelles and faceted 6mm rounds in Rhodonite. 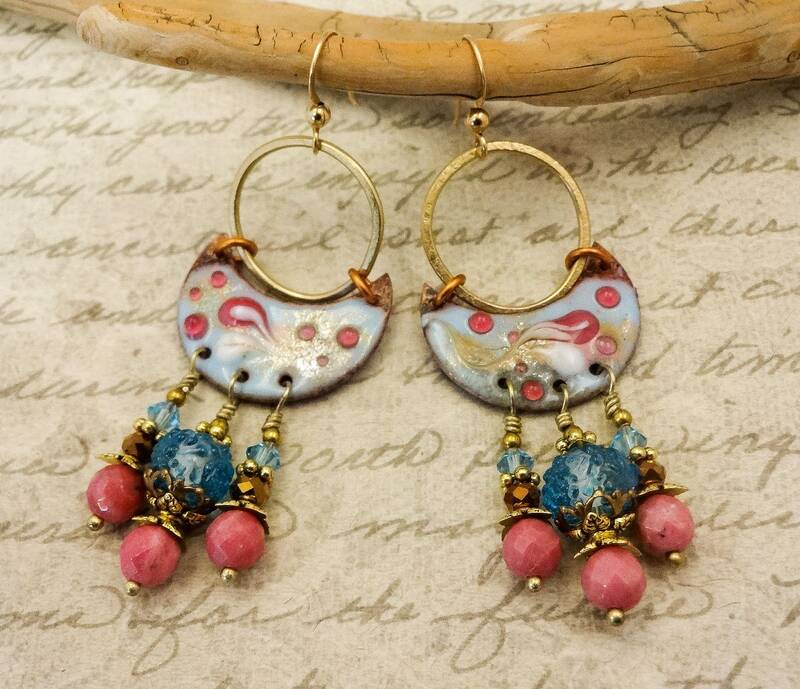 The crescent moon shape is accented by gold hammered hoops that attach to the enamel via copper jump rings. 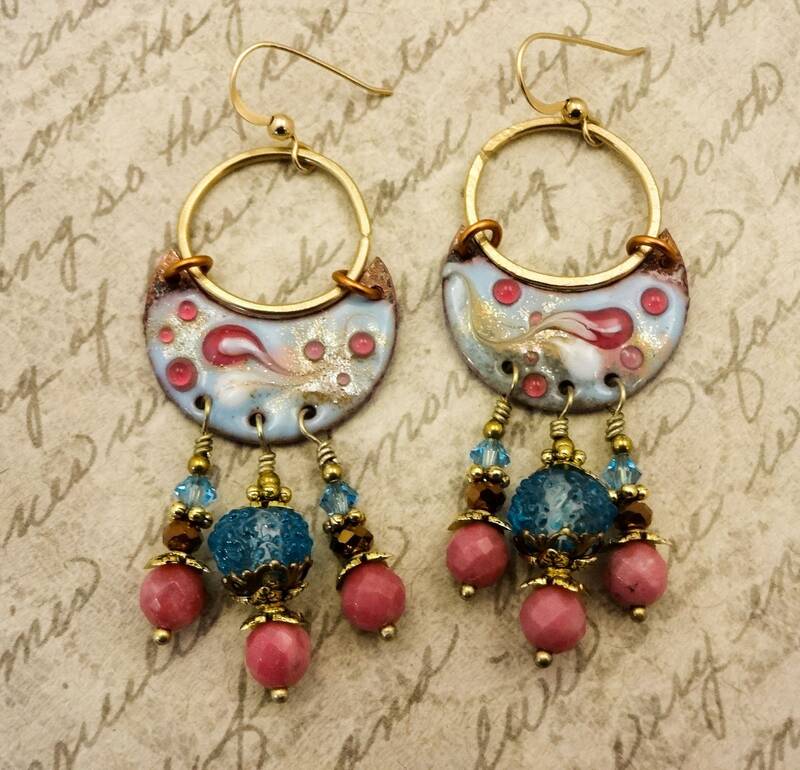 Antique brass beads, shiny gold leaf beadcaps, daisy spacer beads and scalloped antique brass beadcaps add drama highlighting the real gold details in the enamel. 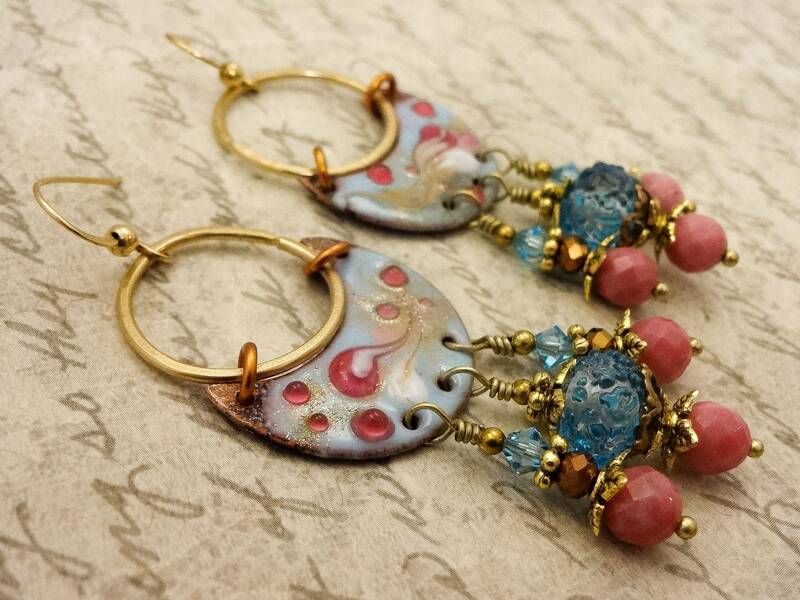 The drops are wrapped in thin, antique brass wire. 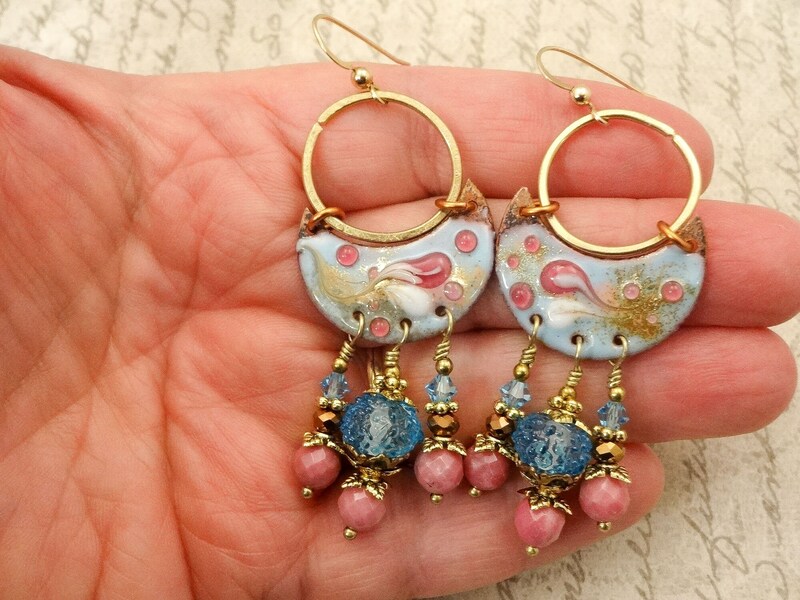 The French Hook ear wires are 14k Gold Fill. 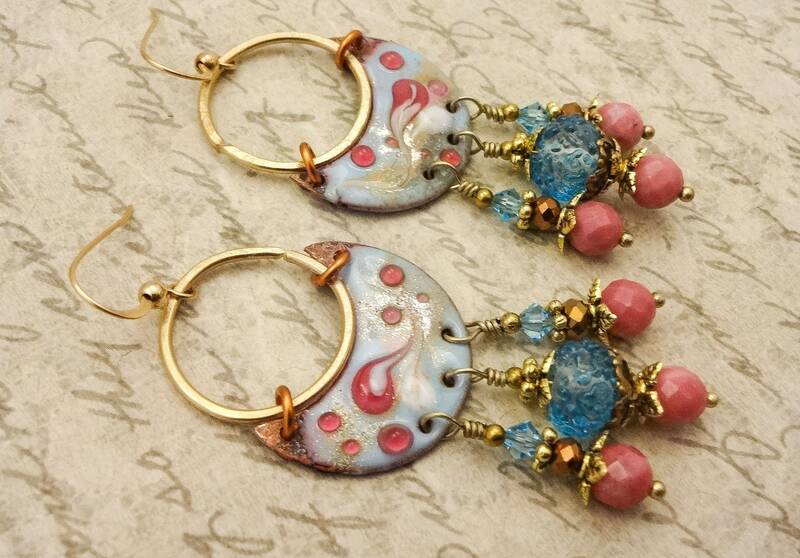 I also have 14k Gold Fill lever back ear wires if you prefer. 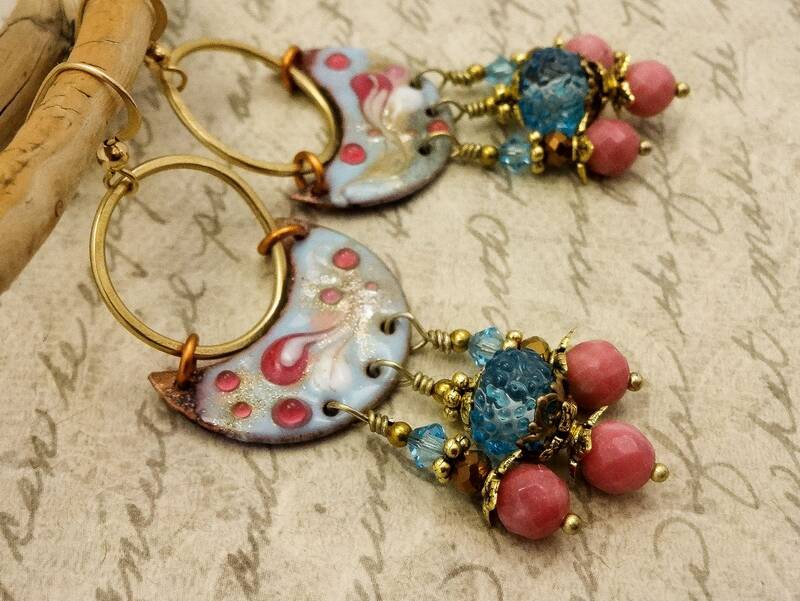 These are one of a kind earrings never to be duplicated. 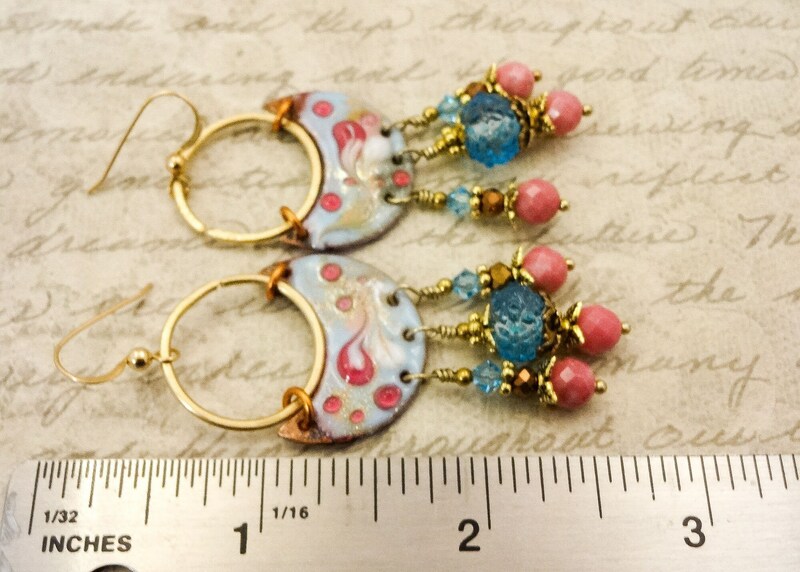 These earrings measure a little less than 2-3/4 inches from the top of the ear wires to the bottom of the dangles, and are about an inch wide at the widest point.